My first make-up brush was a powder brush. It was the softest redhead brush I've ever had (not really MINE, but my mom's). It was from Red Earth, do you know that brand? The one that used to have a stall in... Esprit or Cinderella, I can't quite remember well. Anyway, it was the bomb! I wish Red Earth comes back to life! After losing that brush, it took me a loooong while before I had a decent make-up brush. My next brush (really MINE) was from Elianto. I got it from Elianto SM The Block branch. I remember it like it was yesterday. Elianto freshly docked Philippine Beauty Market and I was there, entered a store fully stocked with the most colorful nail polish and eye shadows, it felt like a candy store to me! Sweet as the colors are, I stocked on loads of lacquers and eye shadows. I even created my own palette, which was pretty exciting! Did you know that you can create your own eye shadow palette at Elianto? It's pretty convenient and cheaper than buying different palettes just to have the shades you want--and actually would use! 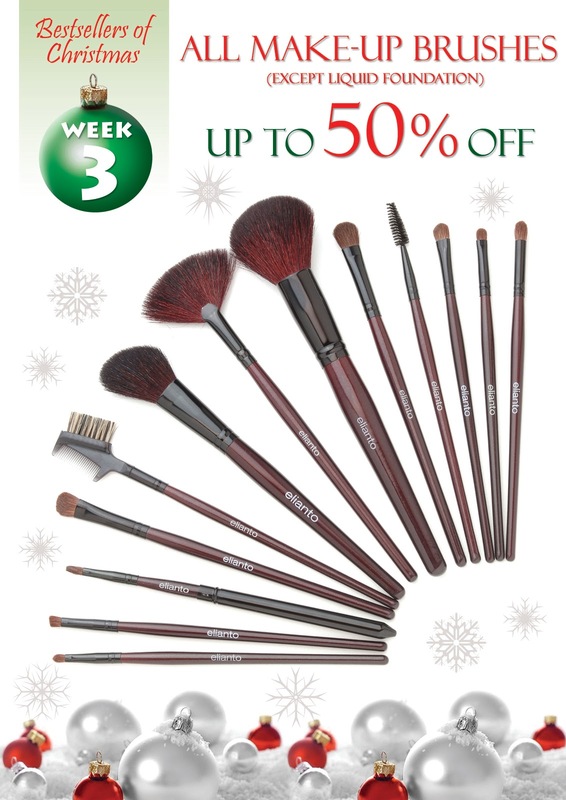 Below is the brush set I mentioned I just recently purchased. I already toy'd around with it and I'm going to share with you yet another look. 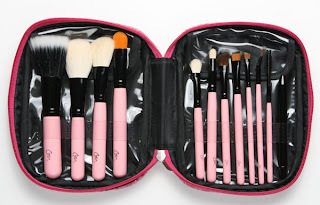 It's a party with the Charm Travel Pro Brush Set. Will keep you all posted.